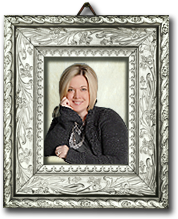 PAULA RAYMOND, Killeen Realtor – Call me today! Mostly, I would like to convey that I am just a regular gal – a wife and mother of 5 -friend to many – daughter of 2 wonderful parents – big sister to an amazing brother and sister – and I just happen to have a great deal of real estate experience. Working with me is like working along side an old friend, having fun and knowing that someone is watching out for you. CLICK HERE TO SEE WHAT MY CLIENTS HAVE TO SAY! My business background is primarily in sales and marketing. I started out in the insurance industry in 1991 and gained an abundance of marketing and service experience. I found out however, that my passion was in real estate. There is nothing more rewarding than taking the hands of a first time home buyer- and placing a shiny set of keys in them. I absolutely love my job as a Killeen Realtor, whether working with buyers or sellers and I can’t imagine doing anything else. In 2005, along with my husband Richard – we opened the doors to Texas Heritage Real Estate in Killeen Texas. Our company was designed around the idea of helping our family, friends and past clients with their Fort Hood area real estate needs. The result was…and continues to be that our circle of friends is growing larger and larger with every new client relationship that we foster. Texas Heritage Real Estate and PaulaSOLDit.com offers Buyer & Seller assistance with homes for sale in Killeen, Fort Hood, Copperas Cove, Temple, Belton, Harker Heights, Nolanville, Gatesville, Troy, Academy, Rogers, Moody, Kempner & Lampasas. If you are local, let’s schedule a visit about how to get started – or just a quick phone call will work too! Out of the area? No problem – I offer specialized services for out of town clients that are designed to bring them into their purchase or sale just as if they were here. With our market being comprised of mostly military – it is a common situation for buyers to be shopping for homes before they arrive at Fort Hood – and for sellers needing to leave prior to their home selling. Communication is the key – and a client who is well informed about their transaction has limited stress and a much more enjoyable experience. Let’s visit about how I can help you – email or call and let me know how I can help! CLICK HERE TO SEE PAST CLIENT TESTIMONIALS! Providing a superior level of informed, professional real estate services to BUYERS and SELLERS in Central Texas including Killeen, Copperas Cove, Kempner, Harker Heights, Nolanville, Belton, Lampasas, Gatesville,Temple, Florence. Find homes for sale in Killeen Texas. Search Killeen MLS. Temple and Belton real estate services.